On November 17, the European Central Bank and other EU structures received an official claim demanding to ban the circulation of Russian 200 ruble bills in the EU territory, since the bills have the sights of the annexed Sevastopol and Crimea depicted on them. Raymond Lejnieks-Puke, one of the leaders of the Latvian Social Democratic Workers‘ Party was the author of the initiative. “In accordance with the sanctions regime of the EU and solidarity with Ukraine we demand that banks and exchange offices on the territory of the European Union not to accept the Russian bills, which depict Sevastopol. The use of these bills is unacceptable, while Russia and Ukraine have any territorial disagreements on the Crimean issue,” Latvian politician stated. According to the Central Bank of Latvia currently no law exists to regulate this matter. Therefore, exchange offices and banks have the right to decide independently whether they accept banknotes with the image of the symbols of the Crimea or not. 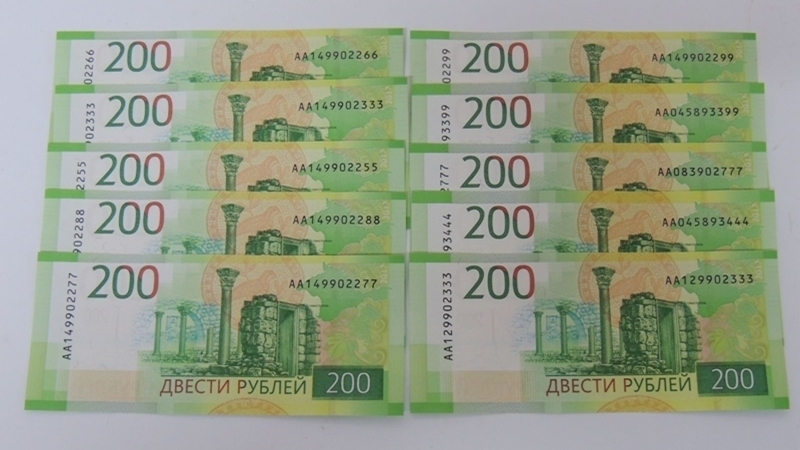 Earlier, October 12, the Central Bank of Russia introduced a new 200-ruble bill with the image of the annexed Sevastopol. The circulation of rubles, containing the symbols of the annexed territories was banned in Ukraine.